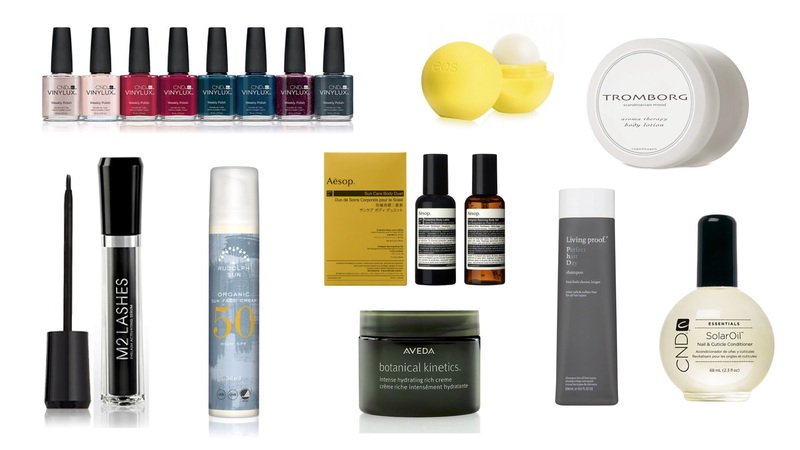 This ultimate summer beauty guide and what to pack is what you will need for the summer. Vacationing in the sun in warmer climates requires some summer holiday preparations. I love lounging in the sun, but as a fair-skinned Nordic lady, I have to be careful and prepare. I have learned a few tricks over the years, although it took me a while to get there. 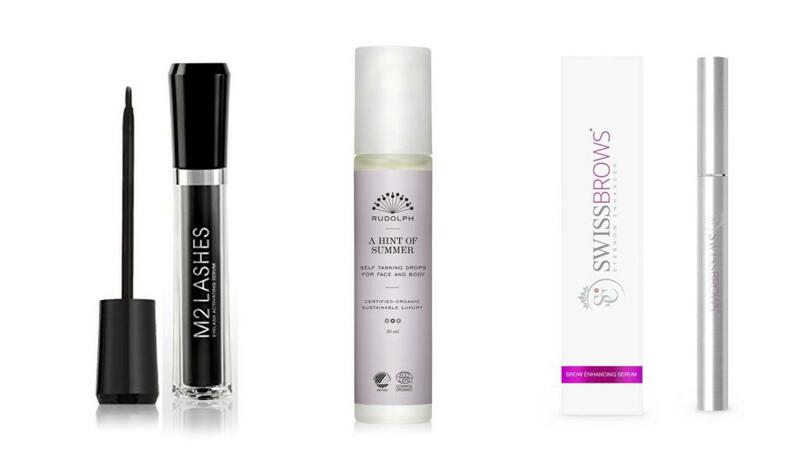 These are some of my top beauty and skincare products for both the face and body. But also combined with a couple of new favourites. Finding a great scrub is key in getting my skin ready for the sun. Buffing tired cells of my skin, priming it for hydration. I do it a couple of times before leaving, so my skin is new and refreshed, ready for the sun. 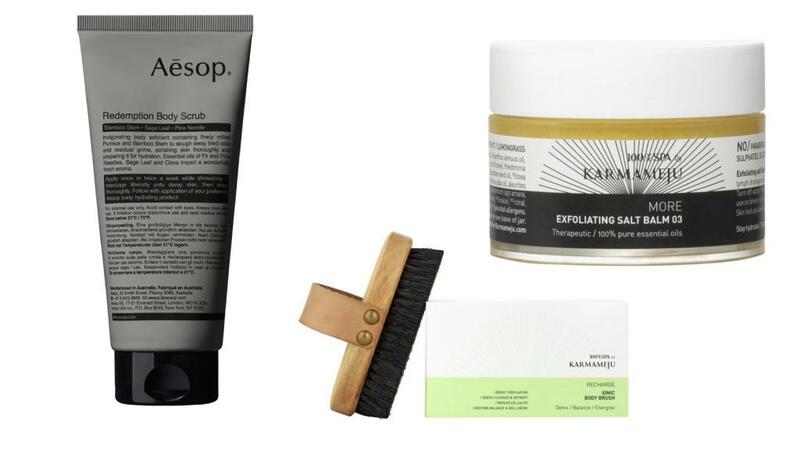 I love Aesop Skincare and their Redemption Body Scrub is one of my go to scrubs. Another of my favourites is Karmameju More Salt Body Scrub 03, as the oil in the scrub is a great moisturiser as well. And it comes in a handy travel size. An alternative is the Karmameju Recharge Ionic Body Brush, which you can use to dry brush your skin every day for an alternative exfoliator. See the video below for instructions on how to use the brush. It is great for stimulation of the blood circulation, nervous and lymph system. And added bonus is it fights cellulite. Post-scrub I make sure that my skin is adequately moisturised. Even though all of the scrubs contain oils to leave my skin moisturised I follow up with plenty of moisture. For the body, I love Beauté Pacifique Enriched Moisturizing Body Lotion, which is great for dry skin. Moroccanoil Body Butter with the original argan oil fragrance adds great moisture to a sun-kissed body. Tromborg Aroma Therapy Body Lotion is another great hydrator and the scents of the essential oils have a calming effect. Perfect to apply just before going to bed. Bio-Oil is great for dehydrated skin, as it supplements the skin’s natural oil layer, which helps retain moisture. It is also an efficient oil for stretch marks and scars. I treat my face before sun exposure by using the Rudolph Care’s Acai Facial Scrub Mask. Leaving it on for up to 30 minutes to optimise the effect of the mask. I make sure to apply extra moisture after exposure to the sun. 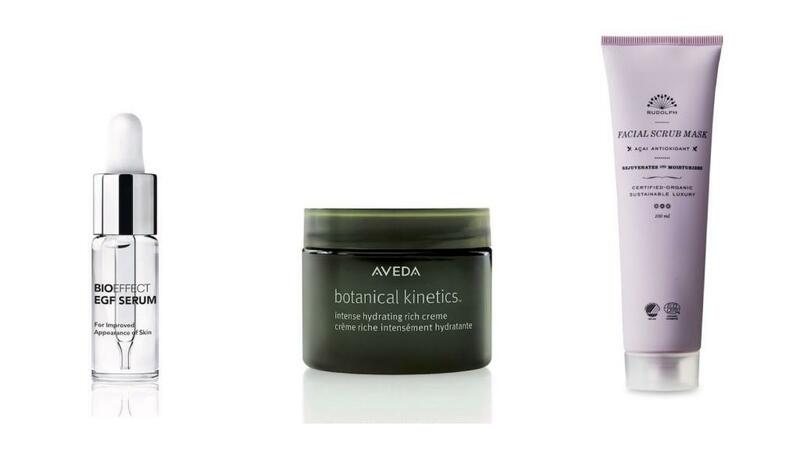 Aveda Botanical Kinetics Intense Hydrating Rich Creme is great to apply before going to bed and is also great to replenish dry skin after a long flight. The Icelandic skincare (already love it because of its origin) brand Bioeffect is based on an epidermal growth factor formula. The serum is quite potent and just a few drops will saturate your skin and unlike so many other serums you do not need to follow with night cream. And now to the most important, sunscreen. For starters, I normally wear a sunhat when lying in the sun. Then I wear as high a factor as possible for the face, SPF50. For the body, I will start with SPF50 and I might switch to SPF30 after a couple of days. It is important to me that it guarantees coverage but without being too sticky or thick. Two of my favourites are Rudolph Care and Tromborg, both Danish and organic. 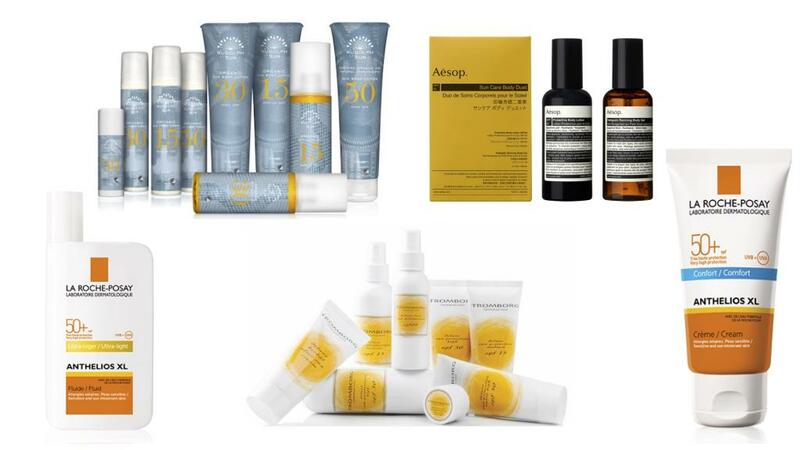 Tromborg focuses on sun products from SPF 15 and up to 30. Rudolph Care features both sunscreen and sun oil from SPF15 and up to 50 – including products for kids as well. Aesop just released their first sunscreen for the body. It is a Sun Care Body Duet consisting of a sunscreen SPF50 and an after-sun gel. One of my go to brands for sun protection is La Roche-Posay. I love going to pharmacies in France and getting lost in the many products of eg. La Roche Posay. Anthelios XL 50+ Ultra-Light for the face is the best, so light and easy to apply. As is the Anthelios XL 50+ Comfort for the body. Getting a pedicure and/or manicure is naturally the easiest. I normally start my summer with a visit to my podiatrist to prime my feet. 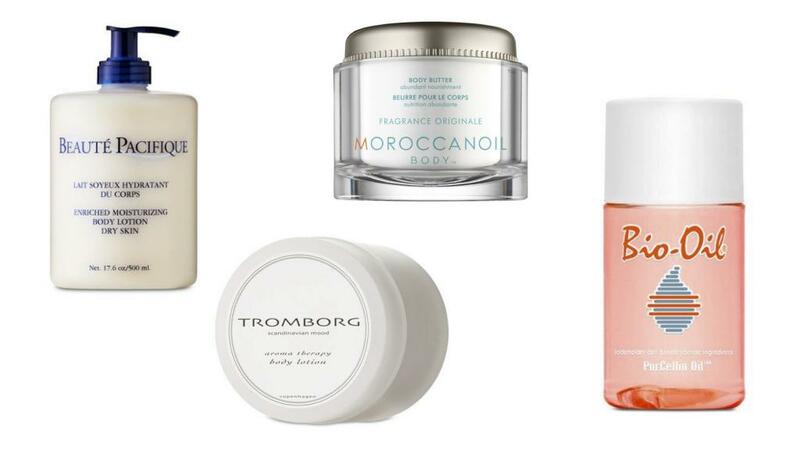 And then there are numerous products to beautify your feet and hands. 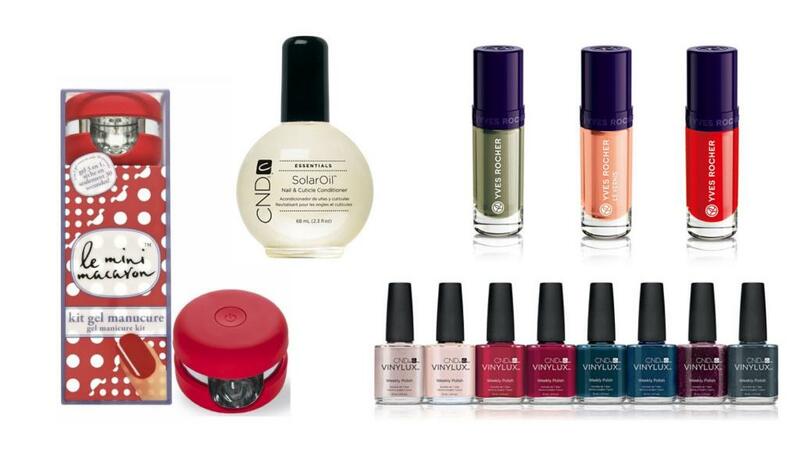 Maintaining nails and cuticles is very important and CND Solar Oil is one of the best oils to use. If you are up for doing a gel manicure, you can actually do one yourself. Le Mini Macaron is a gel manicure kit with gel, remover pads and a small macaron shaped LED lamp. There is a large number of colours to choose from. Easy. Vinylux is also a gel, but without the need of a LED lamp. It is also quite durable, which is great for carefree summer holidays. Although it is summer, I prefer my colours in darker tones. Tromborg’s nail polishes are great and organic with sunflower oil, which nutures the nails. There are plenty to choose from in the large range of colours of Yves Rocher and the size of the bottles is perfect for travelling. I tend to forget my lips when sunbathing, but I try to make sure to add coverage to the lips as well. Tromborg has a great lip balm with sunscreen. Eos’ range of colourful lip balms now also include a couple with SPF 15. Danish skincare brand Xellence has a great lip balm, Nutri Moist Lip Conditioner, featuring shea butter and almond oil, though no SPF but all ingredients are vegan. 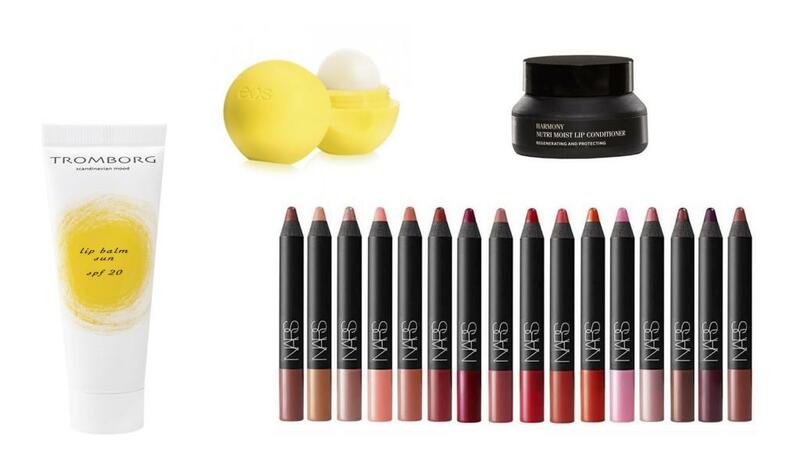 And for the evening fun make sure to add some colour, I love the lip pencils from NARS. I am quite fortunate with having healthy hair, so although sun and saltwater dries out my hair, I do not need that many tricks. Having the best shampoo and conditioner I switch between brands for each wash. I just discovered Living Proof, which is amazing. There is a patented molecule in the product that shields the hair, so it stays cleaner longer and gets less frizzy (finally!). I use the Perfect hair Day Shampoo and Conditioner. 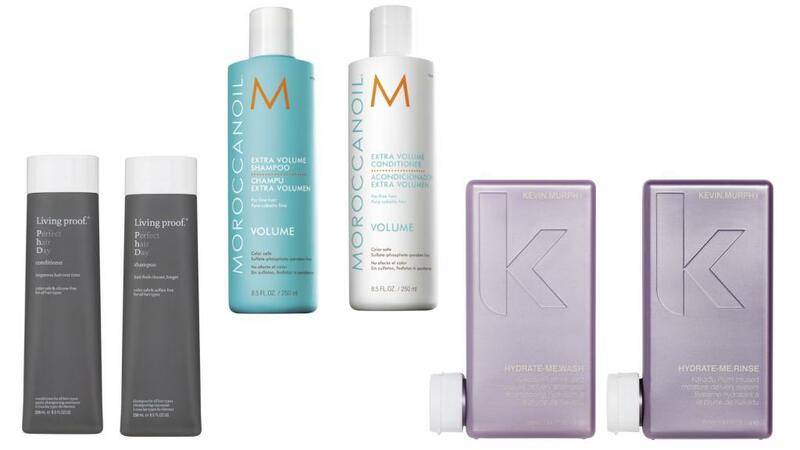 Moroccanoil is one of my all-time favourite hair brands, I always travel with the Extra Volume Shampoo and Conditioner. The argan oil is great for hair and body – and it must be the best, since goats are willing to climb the trees to eat its fruit and leaves. Kevin Murphy’s Hydrate-Me.Wash & Rinse are great for extra hydration after sun exposure. I never get around to getting my brows and lashes coloured before going on sunny holidays. My lashes and brow are so blonde that I in my opinion look dull without mascara on. Sunbathing and swimming with mascara is not the best option. My little trick for the lashes is to use the M2Beauté Eyelash Activating Serum on my eyelashes. It makes them grow longer and fuller, giving them a boost without actually adding any colour. It takes about six weeks of usage to see the full effect, so plan a little ahead of a holiday. For the brows, I use Swiss Brows Enhancer Serum from Swiss Clinic. It also adds to length and fullness making them look naturally thick. It also takes a few weeks, but the effect is there for a while. And you can maintain the fullness by reapplying. Not into tanning, but still want the effect – or just not interested in going to the beach without a tan, there is a shortcut. The colouring agents have been compressed in Rudolph Care’s A Hint of Summer, so you can add a few drops in your body lotion or face cream to get that sun-kissed look.